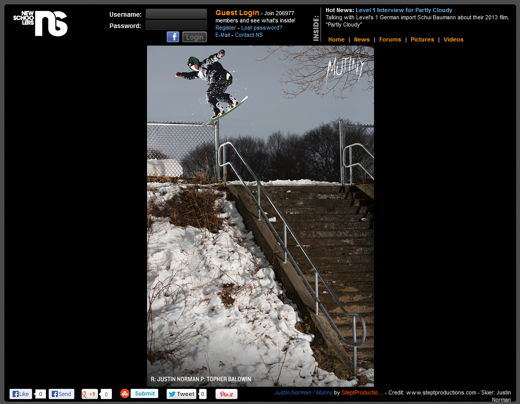 Newschoolers, the home of everything freeski… and today JNorm too. Yep an image of Justin styling a fence gap to backlip taken during the filming of Stept Productions’ 13/14 release Mutiny is currently plastered across the Newchoolers’ landing page. Obviously style is style whether you’re riding on two planks or one and JNorm is the master.